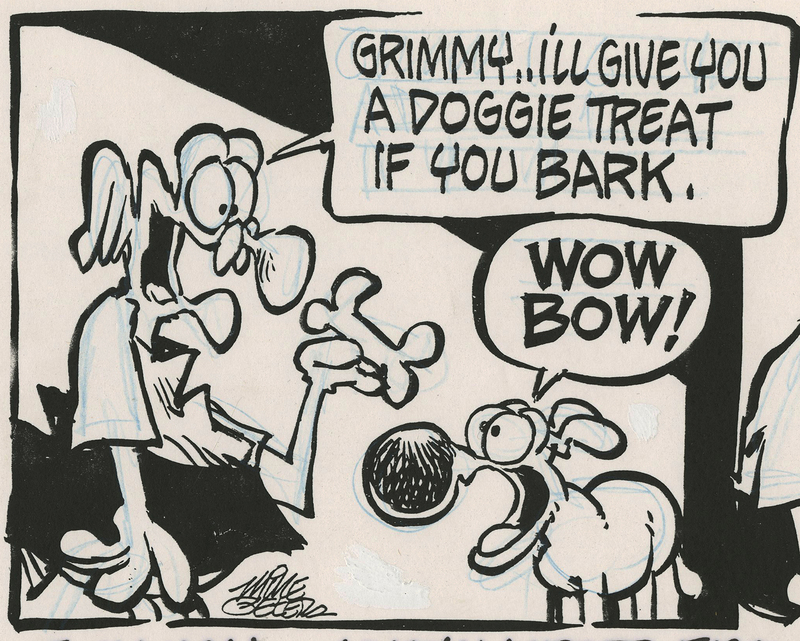 This is an original Mike Peters comic strip drawing for his popular comic, Mother Goose and Grimm. 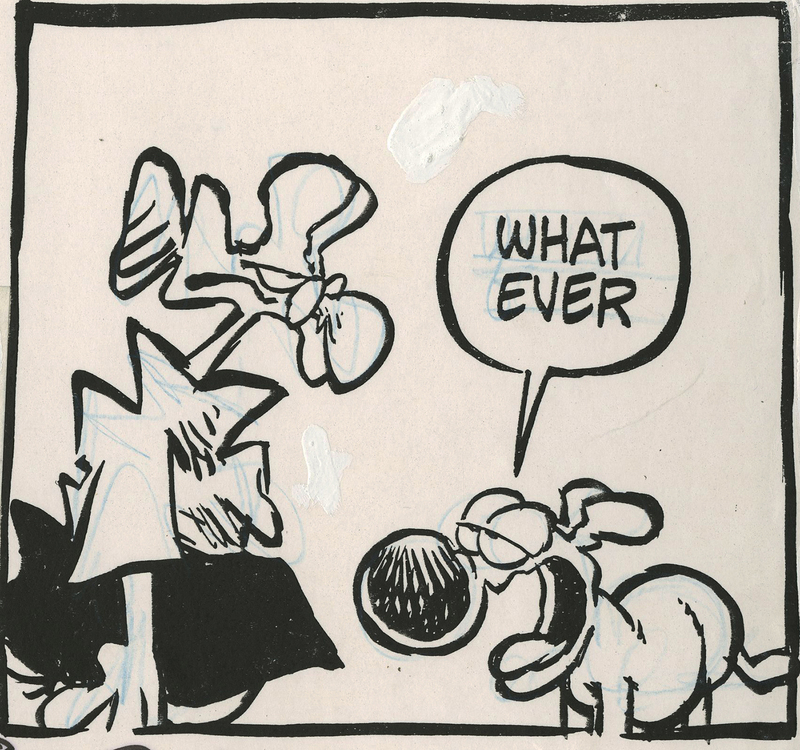 This comic strip was created in 2001 and is the original hand-inked strip, with some spots of correction fluid from the artist's adjustments and clean-up of the imagery. The overall piece measures 5.75" x 14.75" and the main image agrea measures 4.5" x 14.5". 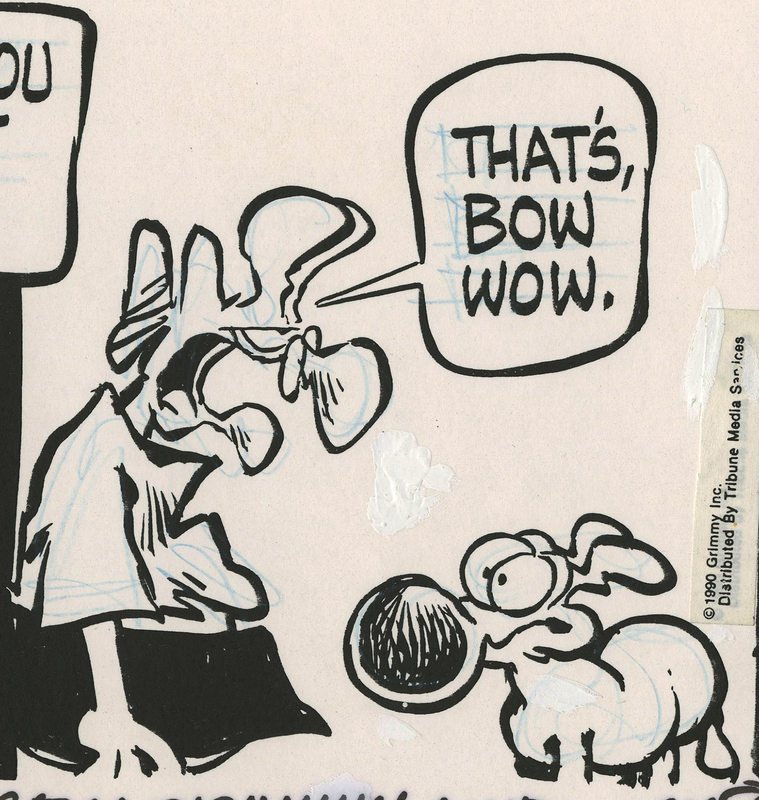 The drawing has been personalized "To Nancy - Love 'n kisses from Grimmy and Mike Peters", and his name in the personalization is his signature as well. The piece is in great condition overall.